(Prohibition) Amendment Act, 2016 (the Act) w.e.f. 1st November, 2016. The Prohibition of Benami Property Transactions Rules, 2016 have been framed in this regard. As per the Act, Benami property includes movable or immovable property, tangible or intangible property, corporeal or incorporeal property. It empowers provisional attachment and subsequent confiscation of benami properties. It also allows for prosecution of the beneficial owner, the benamidar, the abettor and the inducer to benami transactions, which may result in rigorous imprisonment up to 7 years and fine up to 25% of fair market value of the property. transactions up to 23 May, 2017. These include deposits in bank accounts, plots of land, flat and jewellery. Provisional attachment of properties under the Act has been done in more than 240 cases. The market value of properties under attachment is more than Rs. 600 crore. Immovable properties have been attached in 40 cases with total value of more than Rs. 530 crore in Kolkata, Mumbai, Delhi, Gujarat, Rajasthan and Madhya Pradesh. crore. The beneficial owner is a Madhya Pradesh based listed company, his employer. In Mumbai a professional was found to be holding several immovable properties in the name of shell companies which exist only on paper. In another case in Sanganer, Rajasthan a jeweller was found to be beneficial owner of nine immovable properties in the name of his former employee, a man of no means. Certain properties purchased through shell companies have also been attached by the Department in Kolkata. 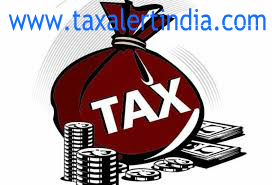 supervision of the Principal Directors of Investigation in the Income-tax Department to enable swift action and follow up, especially in cases where criminality has been detected. through corrupt practices and introduce accountability and probity in public life. The crackdown on all forms of illicit wealth is being spearheaded by the ITD to ensure that any economic misdeed is immediately identified and actions as per law follows.